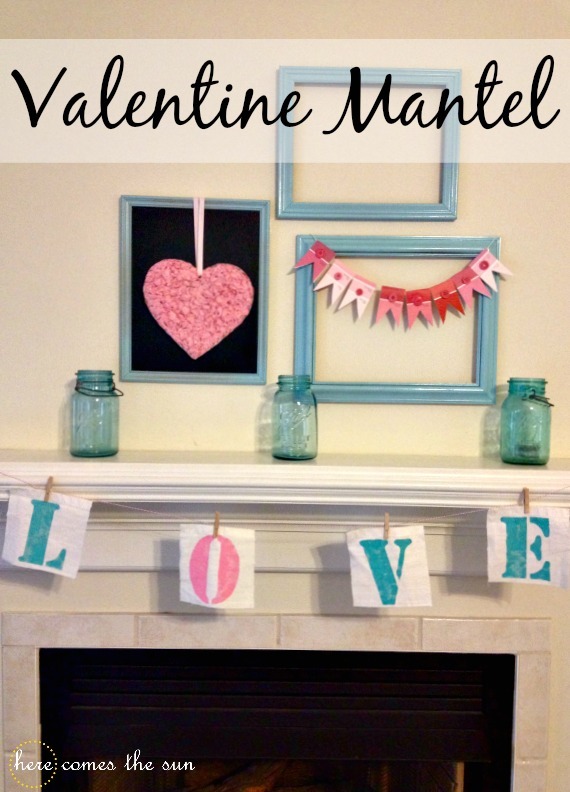 My Valentine mantel is up! This year, I decided to go with the aqua and pink color scheme; the same colors that I used on my mantel last year. 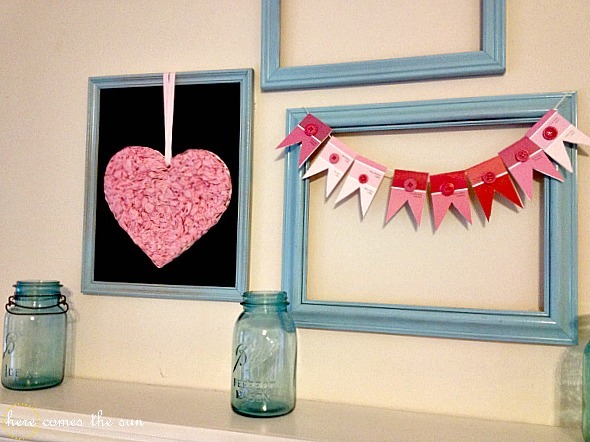 I used items that I had around the house including my tissue paper heart and my paint chip banner that I made in previous years. I added the “LOVE” banner this year. I was able to make the banner AND put together the mantel during my son’s nap time. Score 1 for mom! For the banner, I cut 6″x6″ squares from and old IKEA curtain then stenciled on the letters. I hung it with mini clothespins and bakers twine. Simple and done! At first I had the frames lined up on the mantel but then decided to hang them up gallery wall style. I like it so much better than having them in a straight line. 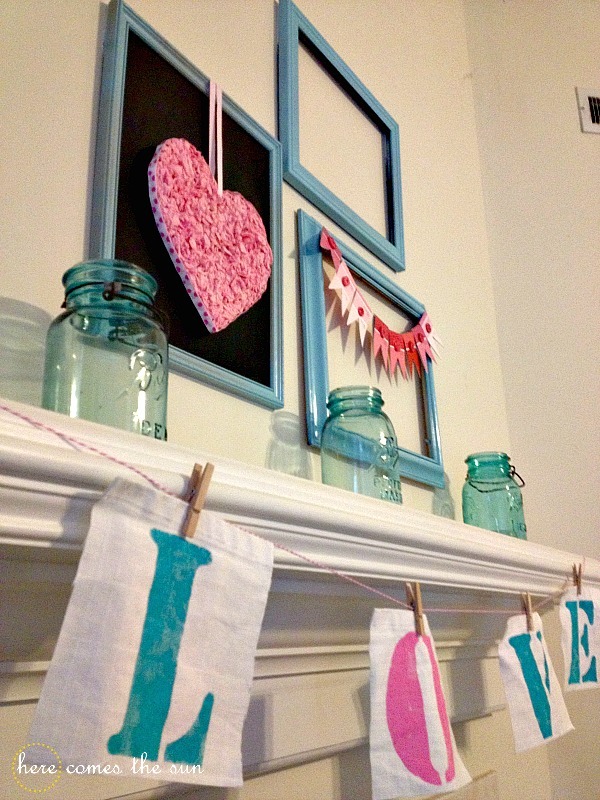 The actual mantel was bare so I added some blue mason jars. I hope those things never go out of style. I absolutely love them. I’m super happy with the way this one turned out and I didn’t spend a dime!